The natural world we find ourselves in is of sufficient wonder, beauty, pain, and terror that many insist that some demiurge had to have made it, and fashioned us as well. For centuries before the dawn of science, the notion of the “Book of Nature” was an influential concept of how knowledge about the world was to be found and understood, borrowed from ideas on how to read and interpret religious writings: exegesis or hermeneutics. Nature was a text, writ by its creator. Fortunately or unfortunately, nature is nothing like a text. All texts are written by people, and are structured by human thought and language. Nature requires other methods for understanding its basis and processes. The so-called scientific method evolved by fits and starts to explore the workings of nature, its components, causes, structures and functions. And it continues to evolve because it is not in itself entirely mechanistic: no precise algorithm that we know of can be specified to turn the crank and do ‘science’. Does that mean it’s unscientific? Not at all. Throughout the history of philosophy, there have been many conflicting stances both towards claiming what exists (ontology), and how we can know our claims are valid (epistemology). There are the oppositions between idealism and realism, between rationalism and empiricism, between thinking all is change and all is changeless, between all is many and all is one, and so on. 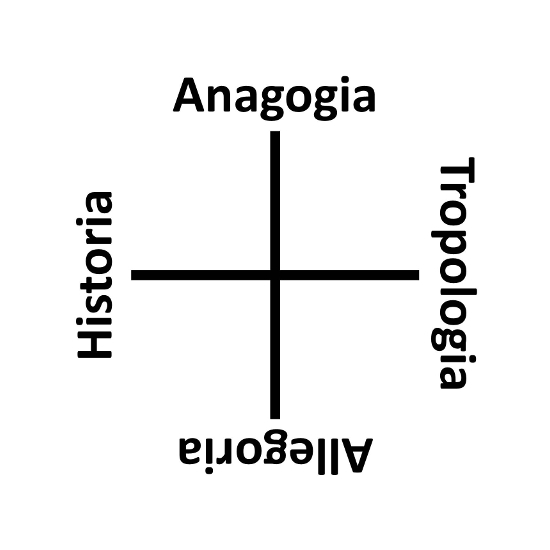 One approach to overcome these oppositions is to combine them to form their Hegelian synthesis. 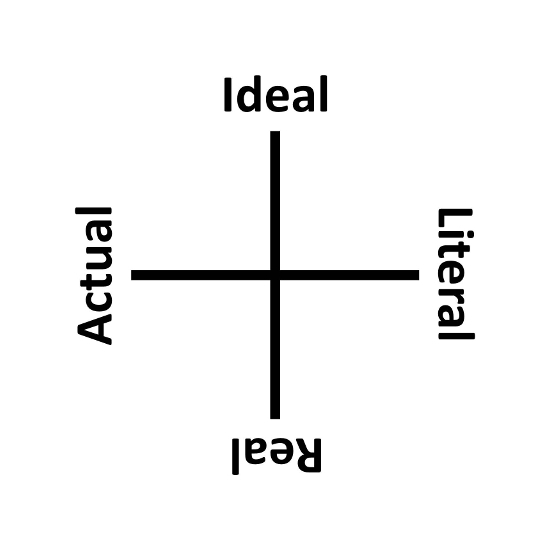 Another is to deconstruct them à la Derrida. Another pluralistic approach is to consider that there is a germ of truth on each side of the conflicting stance, an aspect of reality for which that stance is valid. Some might think that pluralism is the same as relativism, but it is not. Relativism and pluralism form yet another philosophical opposition like others mentioned above. Regardless of the validity of pluralism, it can be very useful to analyze what philosophical stances are possible and how they relate to one another. 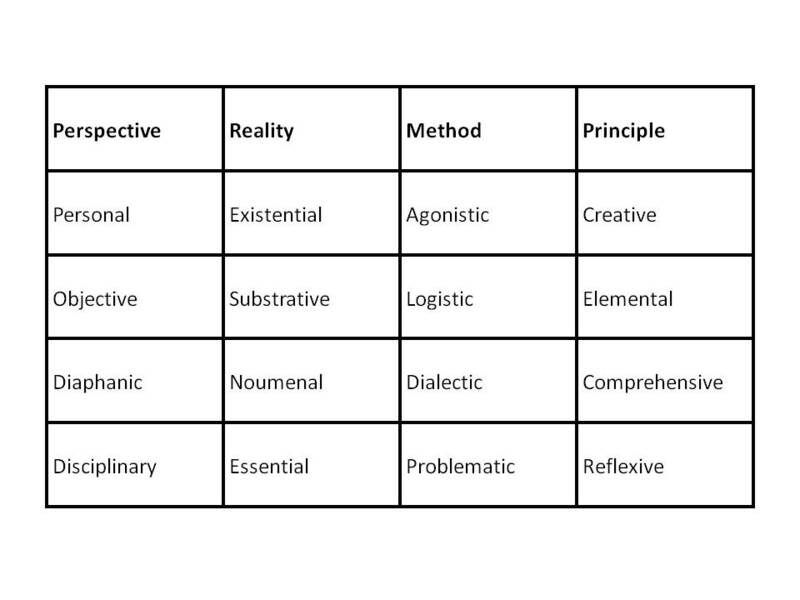 The philosopher Richard McKeon created a rich schema for philosophical semantics that deserves greater recognition. 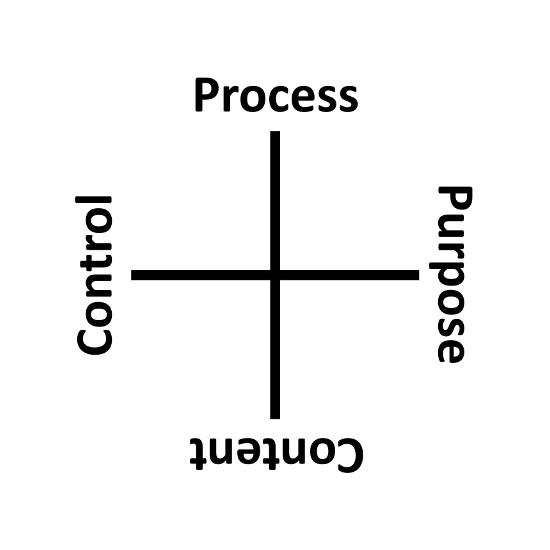 This schema was both simplified and elaborated on by Walter Watson and David Dilworth in their books about the Archic Matrix. There are four main aspects, all exemplified by ancient philosophers: the Sophists, Democritus, Plato, and Aristotle. Everything else is a combination of these original aspects, or essentially a rehashing of them. The main aspects are perspective from the Sophists, reality from Democritus, method from Plato, and principle from Aristotle. 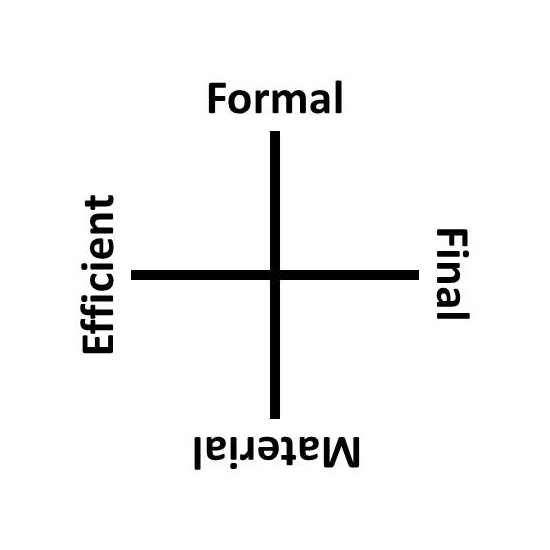 These partition “what is”, however it is conceived, into four aspects, each of which can be interpreted in four different ways. 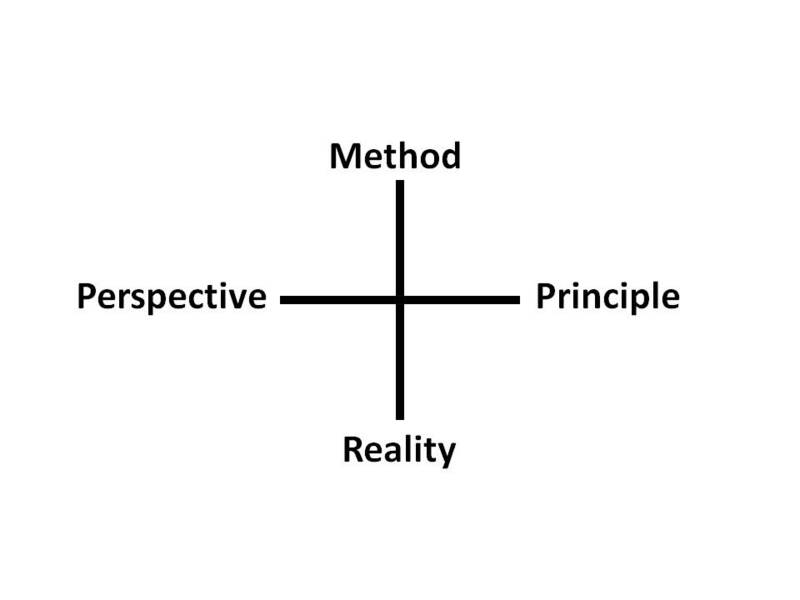 Considering Whitehead’s Criteria, note that perspective has consistency, method has coherency, reality has applicability, and principle has adequacy.